For more than 30 years, Sunset Lodging has had the pleasure of being a part of the smiles, giggles, milestones and simple moments that make up a truly great family reunion. We offer the best options for family reunion vacation rentals in Oregon. With the backdrop of Ponderosa Pine Trees, the mighty Deschutes River, and breathtaking Mt Bachelor, our family reunion vacation rentals are nestled among the natural landscapes while providing a perfect place to create fond memories with loved ones. Whether you are gathering around the fireplace, relaxing in the hot tub or sitting down for a family meal, we can help you to find the perfect accommodations to make your next family reunion a memorable one. We love families! Is it time to plan your annual or maybe first family reunion? Our vacation planners would love to help. We have large Sunriver luxury vacation rentals with up to 8 bedrooms and/or a cluster of homes and condos that is sure to make everyone feel included. Please fill out the form below to get started. Let us know your vacation dates, number of adults, children, pets and specific needs. The more detailed, the better to create a fully customized list of vacation homes for you. 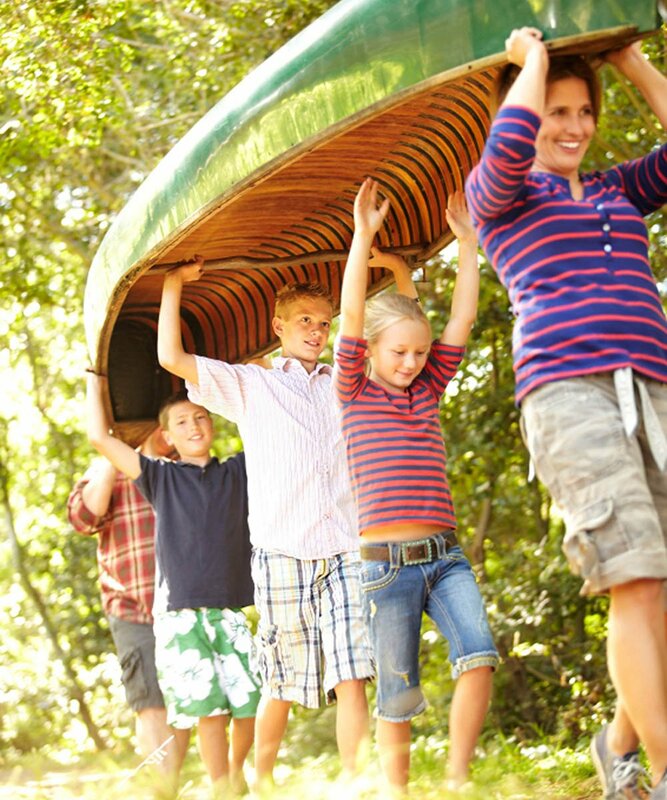 If you have any questions about our Sunriver vacation rentals or how we can help your next family reunion be great, call us at 1-800-541-1756. Or you can email us at resdesk@sunriverlodging.com. We would love to talk to you! Browse our list of Sunriver vacation homes and condos. Sort by property name, number of bedrooms, bathrooms, occupancy, amenities, area and rates. Click on View Details to view photos and additional details. Use the Search to select by area, number of bedroom, etc. Need help finding family fun adventures while you’re here? Visit our activities page for warm weather activities and Sunriver winter activities. Family fun and adventure start here. Contact Sunset Lodging in Sunriver to speak with a vacation planner who can help you find the perfect family reunion vacation rentals.